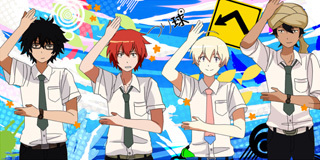 Haru, an excitable young boy claiming to be an alien, quickly makes his way into Yuki's life. 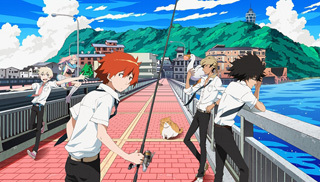 He pulls along the local fishing champion, Natsuki, and the three boys soon find themselves fishing, boating, and experiencing all the beautiful environs of the ocean. 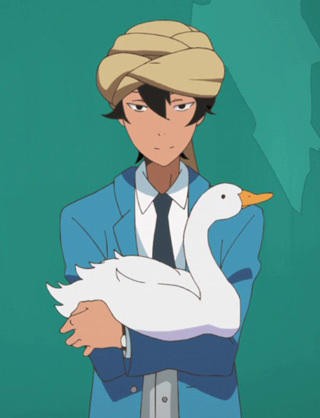 The absurdity ramps up as they encounter an Indian boy named Akira and his pet duck, Tapioca, who watch the group carefully from afar, keeping tabs on their every movement. 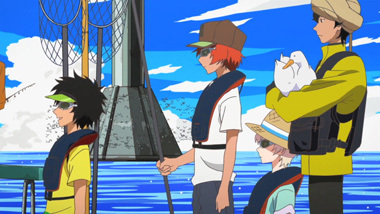 Tsuritama is first and foremost one thing: colorful. 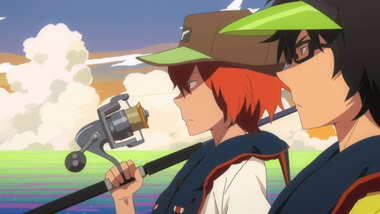 It's really quite entertaining to watch, just for the bright, saturated colors and pastel skies. 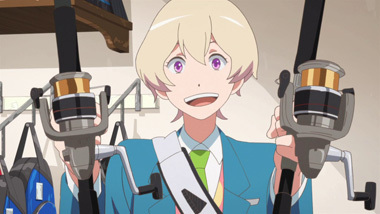 It's no surprise, given that the series director is Kenji Nakamura, famous for shows such as Mononoke and Kuchu Buranko, both of which employed bright color palettes and detailed textures, sometimes garishly so. 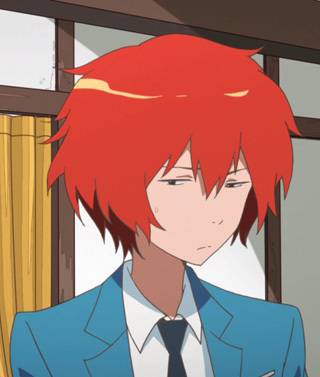 While his last show, [C], was a mess of poorly-executed ideas, bad CGI, and bizarre character design, Tsuritama thankfully has none of those problems. 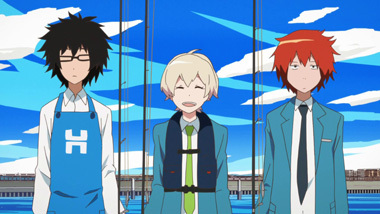 Water is used as an obstacle, a metaphor, and more in Tsuritama. 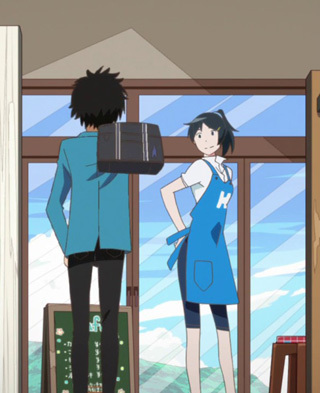 The setting makes it a great thematic element that's used frequently, for such things as Yuki's anxiety. When he begins to panic or enter into an awkward social situation, this is visualized by him being submerged in water. 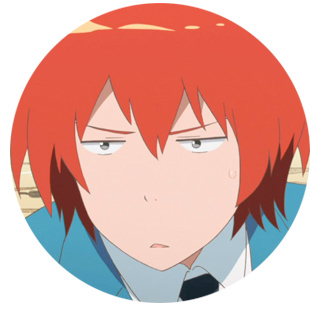 To others, they simply see his face distort into strange expressions, but Yuki is desperately trying to figure his way out, both literally and figuratively. 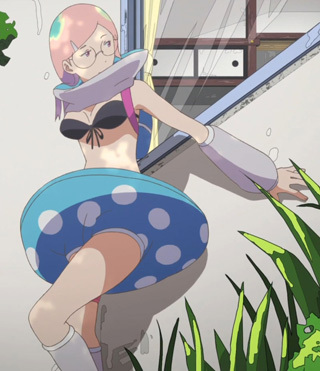 Haru's weird personality and frequent misunderstanding of human behavior is intended to be cute and funny, which even the characters in the show acknowledge, but often comes across as annoying instead. 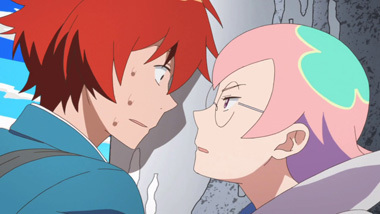 Thankfully, Yuki's frustration with Haru is an issue that actually gets dealt with, rather than letting the audience handle that on their own. 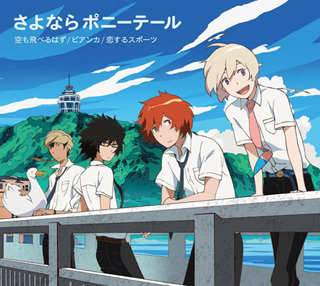 Tsuritama's relaxed pace does a good job of engendering a peaceful environment and a great playground for the characters to breathe in. Sadly, this also means the show hasn't accomplished much in the past six episodes. 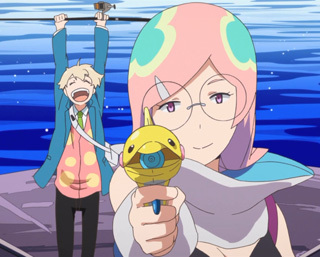 While Yuki himself has progressed as a character and developed, the overarching plot of Haru's strange mission continues to remain a complete mystery. That said, we're only half through, so there is plenty yet to happen. 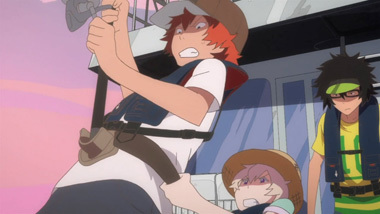 The series is animated by A-1 Pictures, and it's solid stuff for a "noitaminA" (Fuji TVs "Animation" block) show. Thankfully the CGI is kept to a minimum, and the water is animated traditionally, which is a big plus. 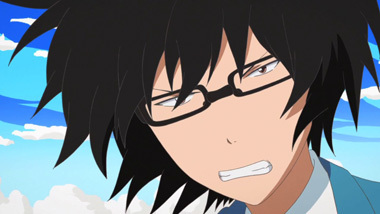 Perhaps the only gripe is the occasional off-model character - watching at 1080p on Crunchyroll reveals those few rushed bits, but nothing too awful. After his failure with [C], we had concerns about Nakamura's next show. 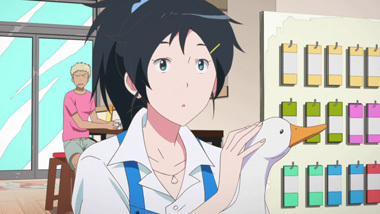 We're glad to report that Tsuritama is a solid work. While there are a few minor problems with the pacing of the story and off-model animation, none of it really tears down the entertaining characters and fun art. 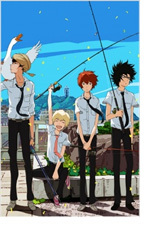 Nakamura is back, and Tsuritama continues the run of great noitaminA shows by being bright, colorful, and a little off-kilter too. In the good way.